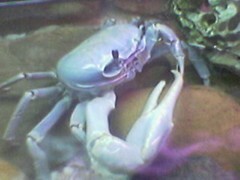 Great Land Crab, Cardisoma guanhumi. Despite being called a land crab, it must return to water. In the Invertebrates Exhibit now.